Once upon a time in a far away land there was a place called Edmonton. Edmonton was a magical place. A very special city. What made Edmonton so special was that unlike everywhere else in the world where Santa visited once a year on Christmas Day, in Edmonton Santa visited once a month! As you also know, Santa runs quite the North Pole Village. He has a wife, some reindeer, and a contingency of elves and other workers that all live on the company's campus (like Google?). These people are magical, but Santa didn't get that fat by not eating. The fact is the North Pole needs foods & supplies. That's where Edmonton comes in. Santa Claus is known for 2 things. First, he brings presents to all the good boys and girls in the world. Second, Santa only buys local. Because Santa lives in Canada, this means he will not cross the border to Alaska to support the United States economy. Instead when he needs to re-supply his magical wonderland he goes to the closest Canadian magical wonderland, Edmonton. A true Canadian! So once a month Santa and Mrs. Claus travel to Edmonton. While Santa is at Walmart filling his sleigh with food, toys (you really think he makes them all? ), and supplies, Mrs. Claus is at the West Edmonton Mall, spending Santa's hard earned money on useless Coach bags and Ugz boots. They eat fast food, see a few movies, take advantage of their free health care system by visiting the doctor for a checkup, and then head back to the Pole. So what does this all mean? Jeez. Do you really not get it? It means that Edmonton has Santa on their side. The Caps have Tom Green making funny faces, and Pat Sajak selling vowels like they are drugs. 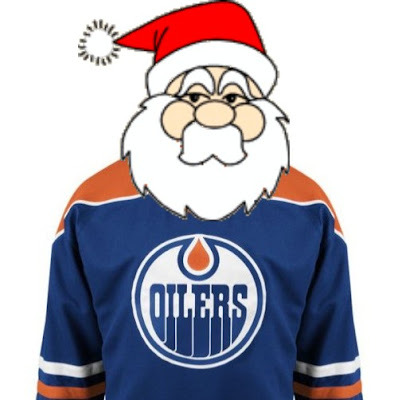 The Oilers have SANTA FREAKING CLAUS! 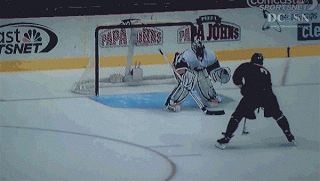 Ted Nugent & Anthony Hopkins: According to my research these are the Oilers best young players. That doesn't bode well for the Oilers as these guys are actually quite old. I dont' think the NFL team relocated to the NHL, but I can't be 100% sure. Look out for Warren Moon. At one point in time Wayne Gretzky was on the Oilers. I'm not sure if he still plays there or not. Something to watch out for. If Edmonton has so much oil, maybe we should invade them. Canadian Bacon style. The Vokoun will be starting tonight! 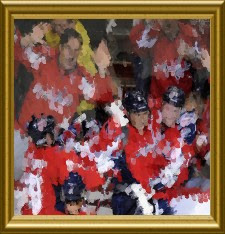 The Washington Capitals Examiner guy predicted a loss weeks ago! "Loading Tweets seems to be taking a while" so nobody will believe your future premonitions if the Caps do lose. I don't really believe in Santa, but always believe that Oilers got God one there side. Actually, Warren Moon played for Edmonton's Canadian Football League team, the Edmonton Eskimos, before playing in the NFL.